Handcrafted in the Dharavi slums of Mumbai these beautiful clay pots with candles help support street children and the Dalit people of India. 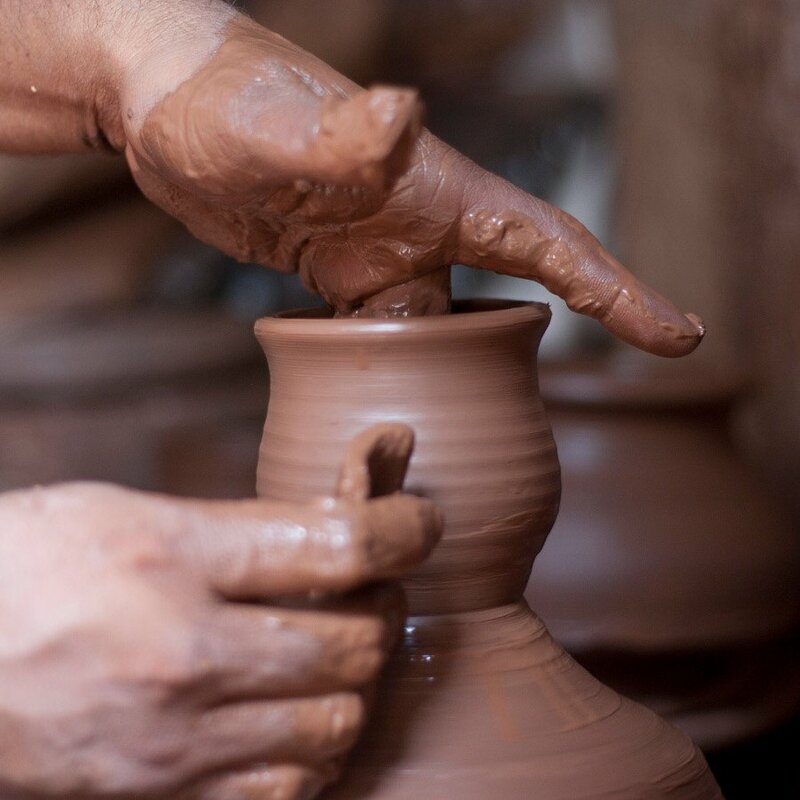 These beautiful clay pots resemble the clay jars that Indian women are often seen carrying when returning from the well. Filled with luxuriously scented lavender beeswax these Karan candles will add instant ambience to any room. 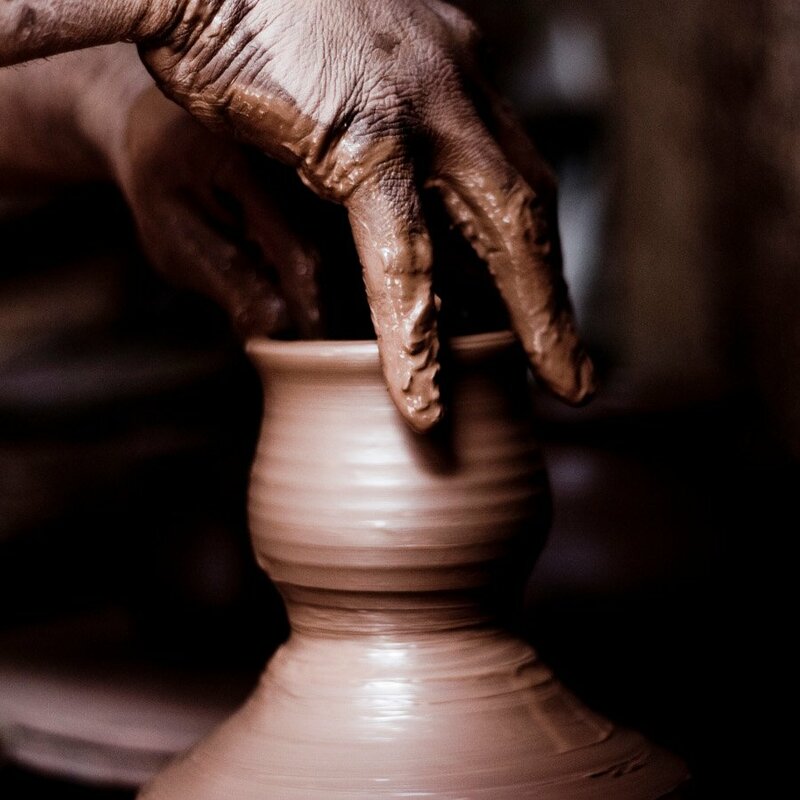 About the Producers: For centuries the Dalit people in India have been known as the 'untouchables' people that are expected to drink from clay cups which are then destroyed. Life Association the charity behind Dalit Candles invite people in Mumbai to create these clay pots and then fill them with the finest beeswax. The clay pot candles are sold in the UK and make a stand against this powerful symbol of oppression. The profits from the sale of these candles go straight back to the help the Dalit people of India. Set of 3 Candles. Each Candle's Burn Time: 26 hours. Dimensions: 5.5cm x 8cm. The Dalit Handmade Karan Candle - Lavender - Set of 3 product ethics are indicated below. To learn more about these product ethics and to see related products, follow the links below. Really pleased, nice spicy scent lovely clay pot and good sturdy packaging. Ideal as a gift, in this case a gift for myself! Bought as a Christmas present and not given yet, but they are smelling nice in the secret cupboard! There are currently no questions to display about Dalit Handmade Karan Candle - Lavender - Set of 3. 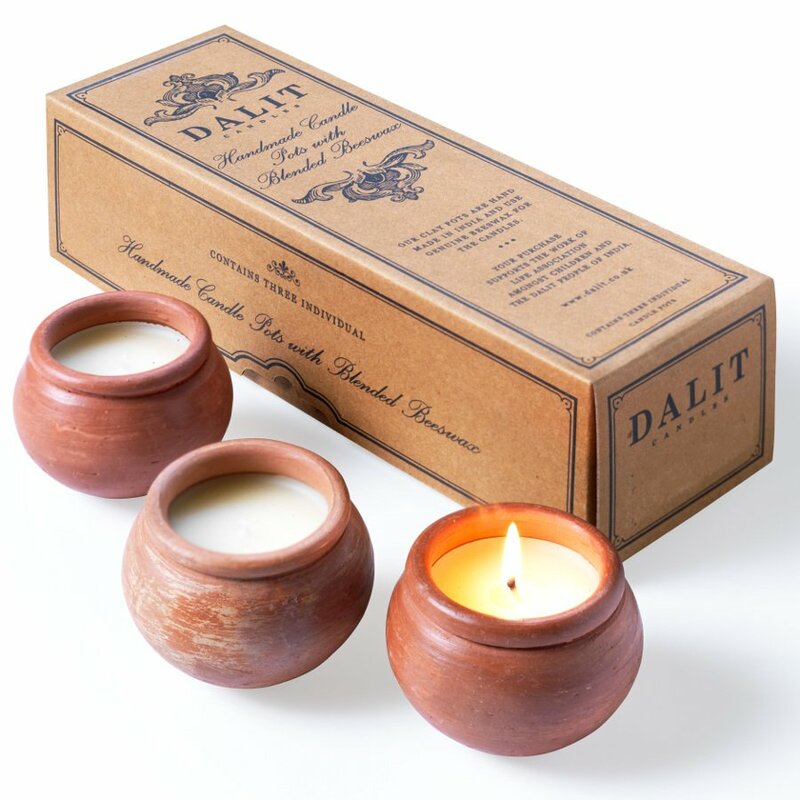 Dalit candles are commited to raising awareness of the circumstances millions of Dalits find themselves in every day. The Dalit People are known as the "untouchables" and their opportunities in life are extremely limited. 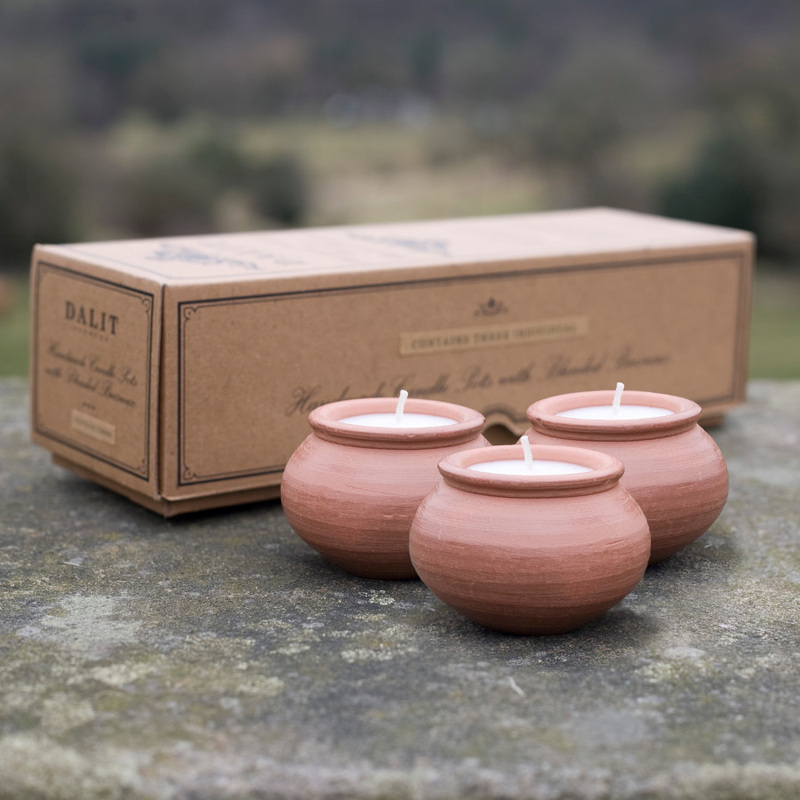 Each of their handmade, blended beeswax candle pots are made using the finest ingredients with all profits going towards working with the Dalit people of India.